In alternating current, the tendency of current flow to become distributed within a conductor such that the current density is greatest near the surface (or skin) of the conductor. The skin effect is caused by the magnetic field of the conductor, which is strong in the core of the conductor and progressively weaker towards the skin, forcing the electrons to the outside. At high frequencies there are virtually no electrons at the inside of the conductor; the current only flows on the outside. 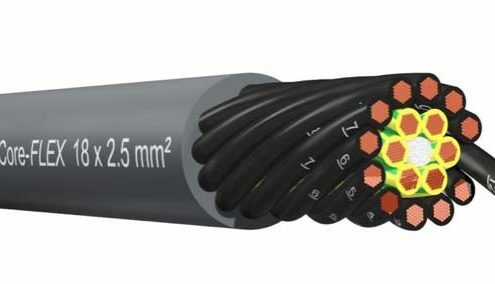 The skin effect reduces the effective usable conductor cross-section while increasing resistance.